Do you want to come up with an impressive MCAT waiver letter? The letter is submitted by medical college applicants who want to apply without submitting their test scores. They believe that their academic and professional knowledge and skills are enough to qualify for the medical school. First, the MCAT stands for Medical College Admission Test. It is a computer-based examination designed and taken by medical students in the US, Canada, and Australia. The test is aimed at assessing the problem-solving, written analysis, critical thinking skills of students in terms of medical principles and concepts. For guidance on how to write the MCAT waiver letter, check out the following. Discover handy tips to create a top-notch LSAT waiver letter! First paragraph: In this section, write your purpose of writing, which is to request not to submit the test score to the medical school. Body of the letter: In this part, you will have to demonstrate that your professional and academic knowledge and skills are sufficient in order to perform well in the medical school. If you have professional experience related to the field, you may also include it to show that you already meet the qualifications and things measured by the exam from students. When making a claim, you should be able to quantify and prove it through using specific examples. The MCAT wavier letter has a body of about two to three paragraphs. These should not be long, but they have to be concise. You have to be straight to the point and to be clear of your reasons. In the body of your letter, your main goal is to show them that you have the MCAT requirements and skills measured by the exam and that you have enough knowledge to do well in the program. Closing paragraph: Restate your request and your willingness to wait for an update on whether the request is granted or not. Remember, not all students will qualify for the waiver request and so you may also have to check out the guidelines of the school before you submit this request letter. Having trouble with writing your emergency medicine personal statement? You can always use help of professional writers! Do not write yet if you have not read and understood the requirements for qualifying for this request. Schools have their set of guidelines of who are the students to become eligible to request for the waiver. 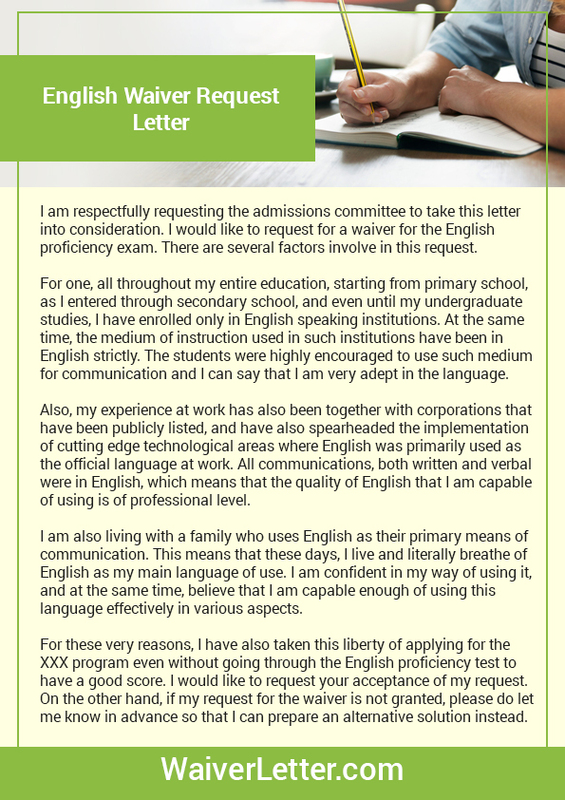 Consult other students who have submitted their request letter so that you can get some ideas and inspiration on how to write and what to include in the document. Spend enough time in writing and do not rush on this matter. It will be better if you will be able to brainstorm on the things to include in the paper before writing to avoid wasting time and to ensure that you are not leaving behind any important information. Keep the tone of your writing formal but don’t make use of jargons and technical terms for better understanding and for avoiding confusion. 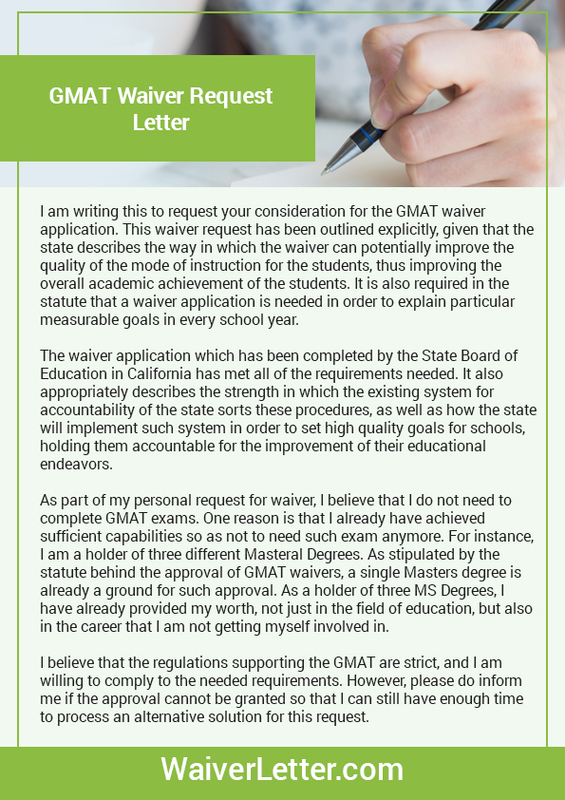 There you have our guide on how in writing the MCAT waiver letter. Follow them and increase your chances of having your request granted by the admission committee. 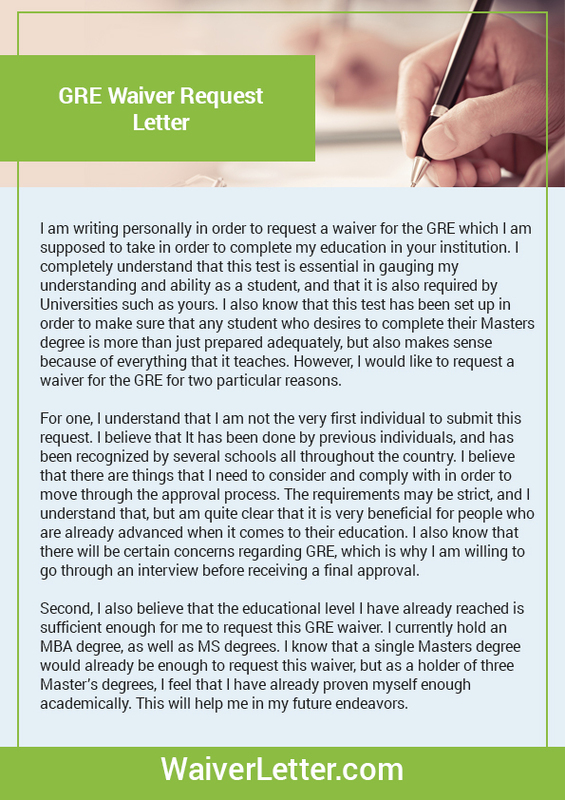 We can also explain you how to create finest GRE waiver letter ever. Get started to conceptualizing and writing your MCAT waiver today!